Help extend brushing to 2 minutes and make a difference to oral health. Give your patients a colourful sand timer as a visual cue to show how long they should be brushing their teeth for. 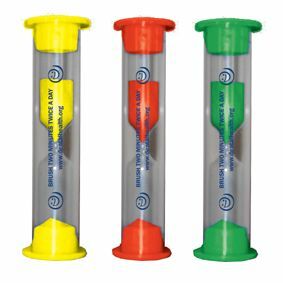 These colourful sand timers are supplied in assorted colours.